An ‘event with dancing’, Susan & Darren was created with and performed by dancer Darren Pritchard and his mum, Susan, a cleaner. Audiences are invited to help Susan and Darren prepare for a party, and to join them for a buffet, chat, drink and a dance after the show. Friends and neighbours pop in via video interviews. “We’ve known Darren since he was 12, and met Sue around the same time. Darren has also performed in Grace and something a taxi driver in Liverpool said… for Quarantine. In 2004, they came to see White Trash. After the show, Darren asked us if we’d make a show with him and his mum. We usually start our process with something personal to one of us, but we knew them and their extraordinary stories so well, and are always interested in interrogating ‘family’ – so we thought we’d give it a try. In some ways they have led extraordinary lives – and at the same time, very ordinary indeed. Like most of us. They dance, bicker, tell banal & riveting stories. The audience can take part in the pre-show workshop, ask questions during the mid-show discussion or chat to Susan and Darren over the post-show buffet. We spent 15 months meeting, working and talking – in the studio, on a trip to Blackpool and over numerous portions of Sue’s fabulous Shepherd’s Pie in their house in Fallowfield. 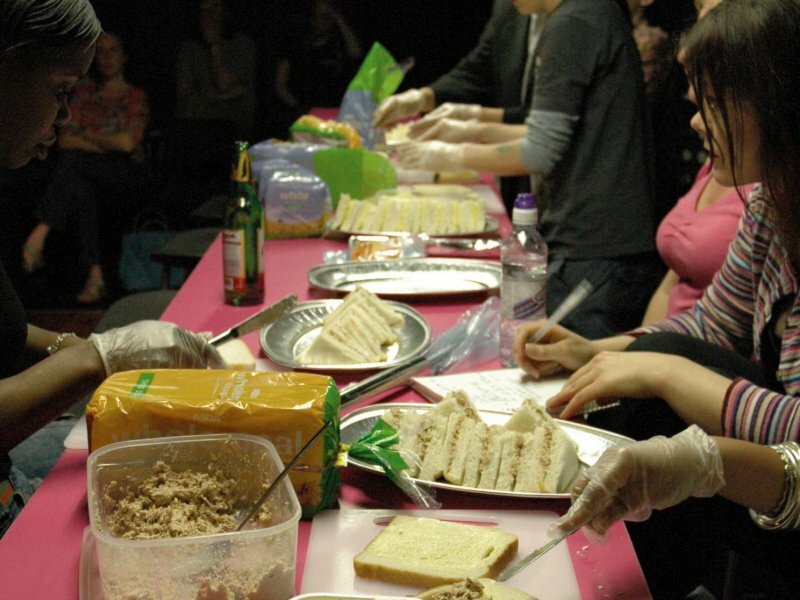 We launched the project with a tea party at their house and devised the piece over six weeks in Manchester in May 2006, working closely with writer Sonia Hughes and choreographer Jane Mason. Auawirleben,Bern; Norfolk & Norwich Festival, Norwich; Theater Spektakel, Zurich; Festival a/d Werf, Utrecht; Heimspeil, Cologne ; CAMPO, Gent; Sadler’s Wells, London; Noorderzon Performing Arts Festival, Groningen; Kilkenny Arts Festival, Kilkenny. Directors Richard Gregory and Renny O'Shea; designer Simon Banham; writer Sonia Hughes; video artist Ruth Cross; choreographer Jane Mason; lighting designer Mike Brookes; sound designer Greg Akehurst. Susan & Darren was co-produced by Quarantine and Company Fierce with Queer Up North and Contact. 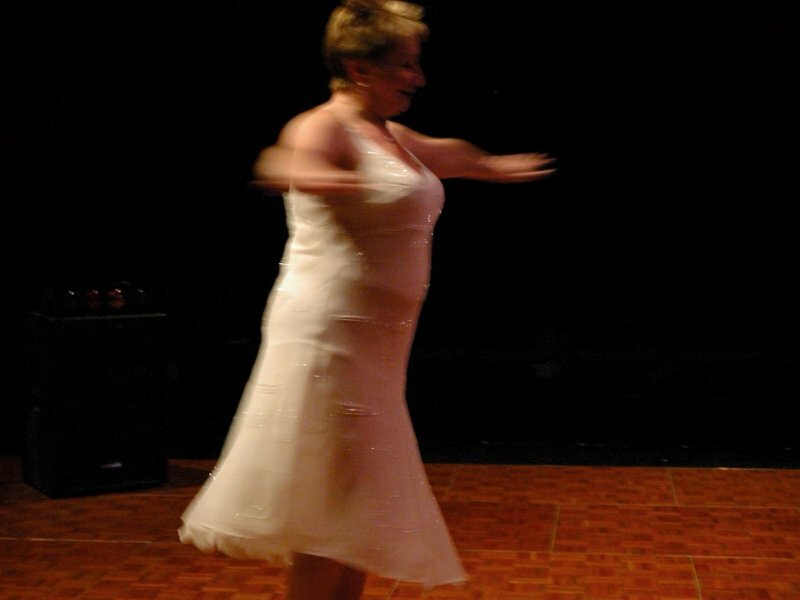 It was first performed at Contact in Manchester in May 2006 and supported by Arts Council England North West through Grants for the Arts and their art05 award for outstanding achievement. Susan & Darren toured the UK in 2006, 2007 & 2010. Tours were supported by ACE through Grants for the Arts.